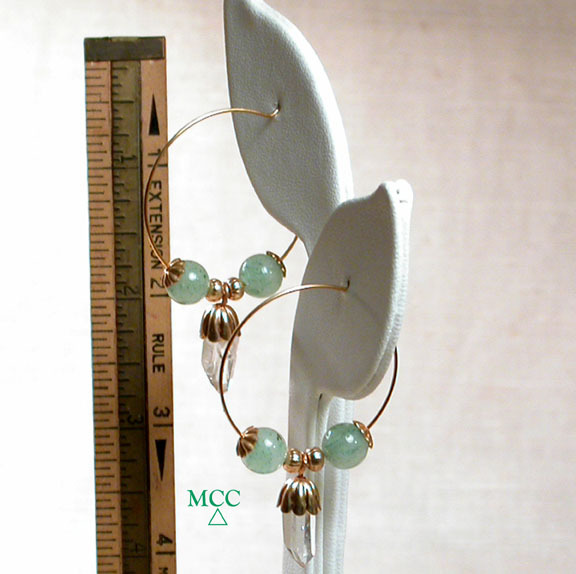 1-1/4" hoops with matched, A+ grade natural Arkansas rock crystals dangling to 2-1/8", these hoops are threaded with spring green aventurine beads, scalloped caps and fluted golden beads. RGP [rolled gold plate, stronger than goldfill], the hoops have gold all the way through. 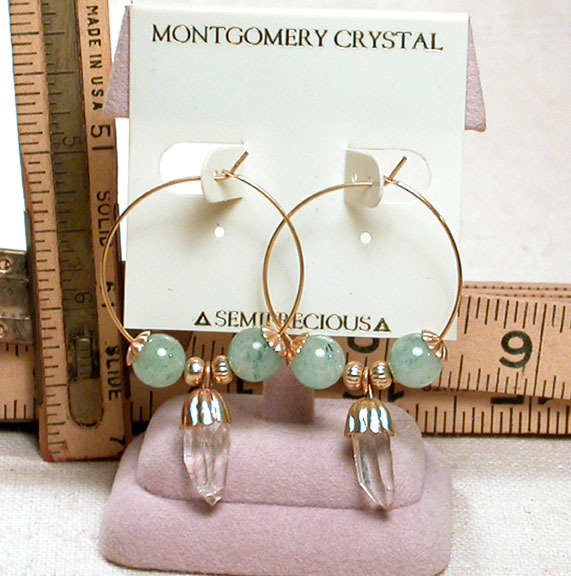 Classic and contemporary for yourself or as a gift, they are a delightful addition to a jewelry wardrobe...a super complement to our Frogl necklace, too.